Keep us up to date - send your happening to the office for posting. 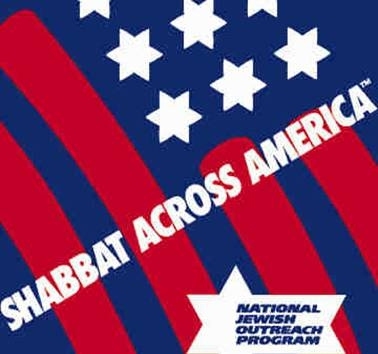 Havdalah and Discussion - Saturday,April 17 at 7:30 P.M.
Due to the number of responses for reservations for Shabbat Across America on Friday,March 5, 2010, we will stop taking reservations on Sunday, February 28th.. Please call the office at 732-7410 and speak with Barbara or leave a message on the answering machine. You may also respond by e mail. You may also call Loda at 732-1453. Reservations received by then will be honored. Join us for a fun filled morning on Sunday Feb 28th from 10:30Am to 12:00 Pm and celebrate The "JCS Purim Carnival at CSH"
Sara Baim has agreed to once again offer exotic pizza and other debaucheries - Come in costume if you like and enjoy the silliness. On Rosh Hashanah, 2007, I spoke about the issue of patrilineal versus matrilineal descent. In other words, is a child born of a Jewish father Jewish even if the mother is not Jewish? So it is not a question that has just recently arisen. It's been bouncing around for a while. Reform Judaism adopted patrilineal descent about 20 years ago. Conservative Judaism has not. What is right for Congregation Shomray Hadath for 2010? I will be conducting three sessions for the purpose of discussing this question. It is my intention to explain it in more detail, setting out my ideas of the pros and the cons. It is also my intention to give others an opportunity to do the same. If anyone has articles to bring to our attention on the subject, they will be welcome also--on the condition that they have been given to me in advance so that I can have a chance to read them through. On March 17th, the Ritual Committee will meet to decide whether to recommend to the Board of Trustees the acceptance by our congregation of patrilineal descent. Your attendance at one (or more) of the sessions, your understanding, and your input are important. Havdalah and Discussion in January will be held on Saturday, January 16, 2010 at 7:30 PM at the Seltzer Home. John Spiegler will be presenting. Celebrate with us and meet our new members while enjoying a homemade Shabbat dinner.